With the Christmas season coming up soon, I just booked us 2 free round trip flights on Southwest Airlines to visit my wife’s family for Christmas in December 2015. 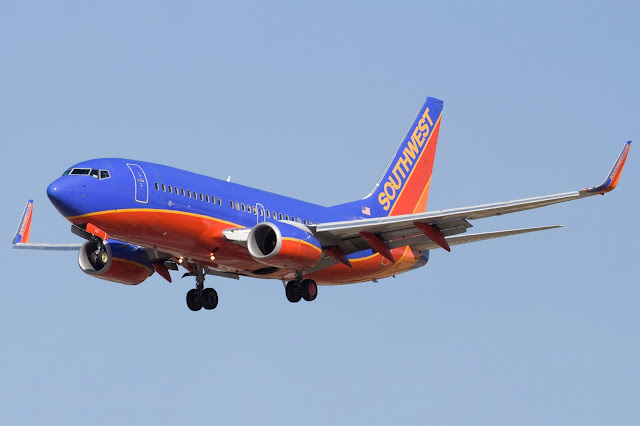 As usual, we prefer flying on Southwest Airlines because they offer direct flights and free baggage check-in. Our son gets to fly for free because he is less than 2 years old and will not take up an extra seat on the plane. The whole process is so easy. First I logged into Southwest Airlines to see the cost of the flight: $717.02. Next I check how many points I would need to book the tickets: 48,000. 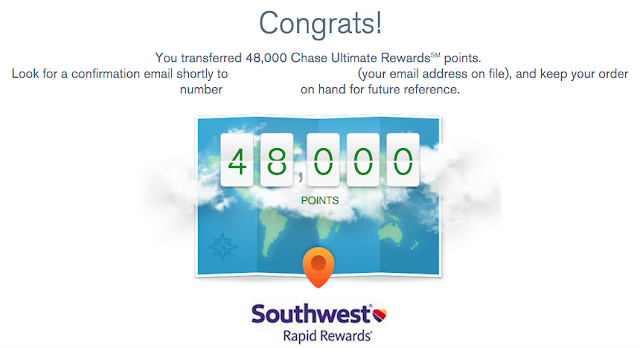 Then I transferred over 48,000 Chase Ultimate Rewards points. Finally, I booked the flight! By redeeming 48,000 Chase Ultimate Rewards points and paying $22.40, we saved $694.62 ($717.02 - $22.40)! I'm really glad we were able to book these flights with points instead of cash. I don't think we have any other plans to fly anywhere in the near future, so it will be a good time to stock up on some more points!